Hire school leavers, students and graduates with the UK's leading youth recruitment website. 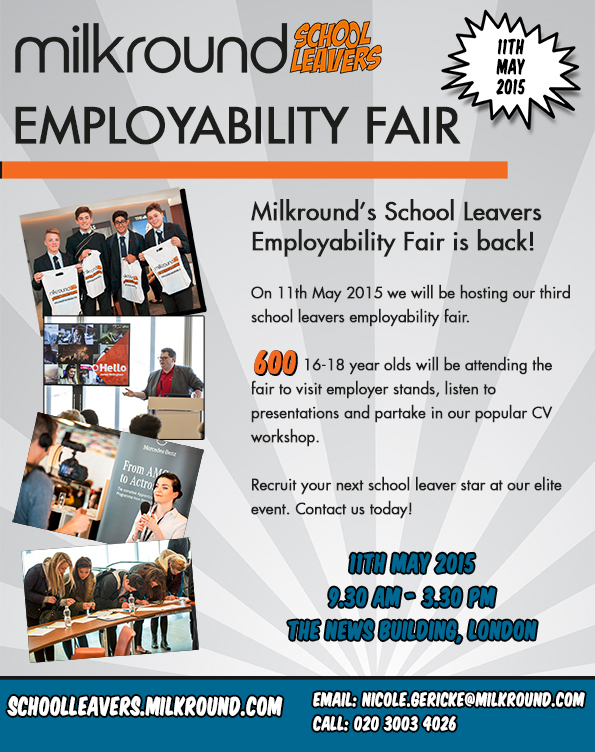 Our next school leavers fair is on 11th May. To secure your stand at this elite event, contact us today! Previous Previous post: Tinker, Taylor, Soldier, Sailor… What did you want to be when you grew up?